This news just in…. 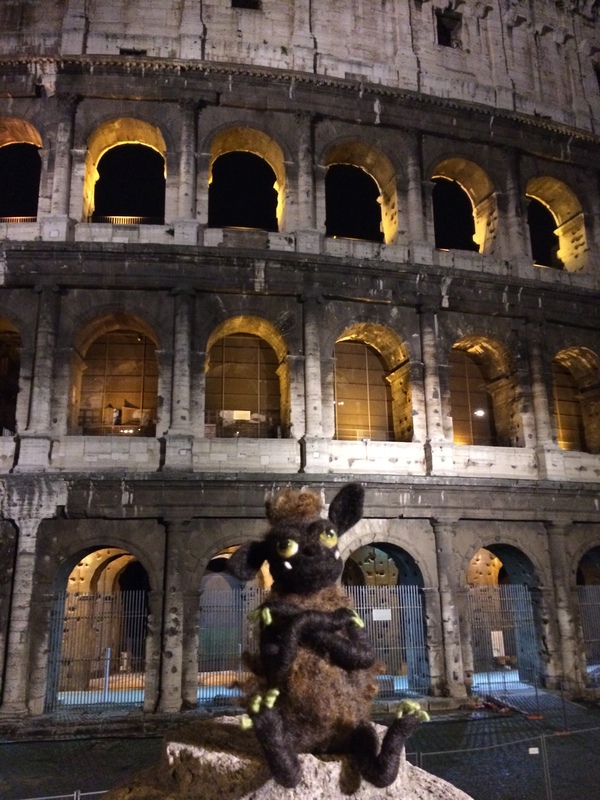 a sourpuss critter is grouching around Rome! Rumor was rampant on the plane flight over, but the 1st city sighting confirms Yes – there is a Grumbler on the loose in this historical site! 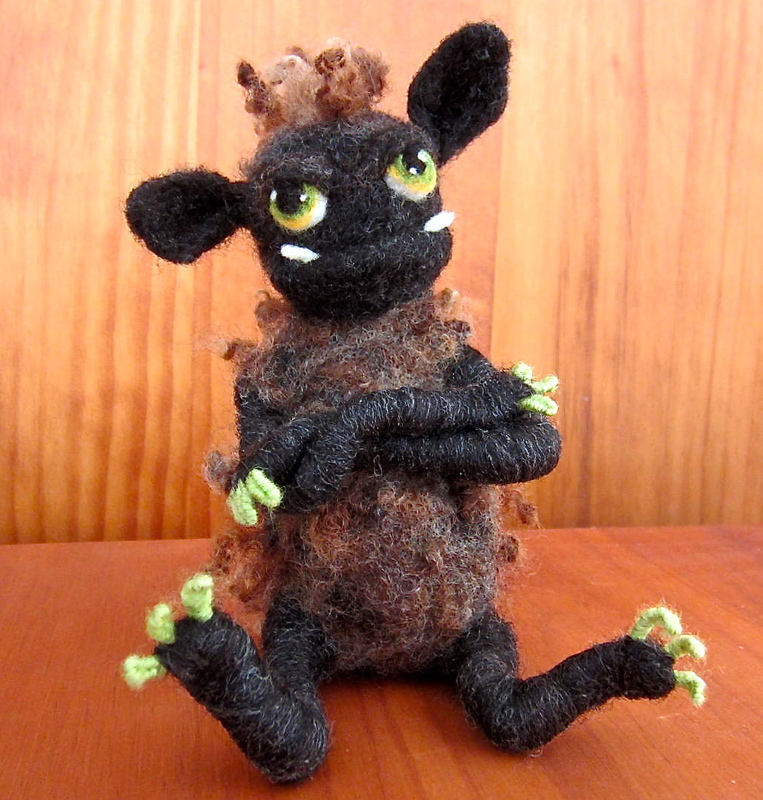 Photo comparison proves this IS indeed one of Whimsical Ewe’s own Woolie Beasties! And here is the lucky couple who capture the photographic evidence. We hope to hear more from them soon, as they trail the little beast around Rome, hoping to capture more images of an elusive critter, seldom seen outside fiber festivals. Rumor has it a couple other Woolie Beasties will appear at St. Distaff’s Day Spin-In (see calendar page) in Washington this Saturday, January 4, 2014. Anyone who’s ever traveled knows about Grumblers- isn’t that the truth?! JB offered to take Lil’ Whimsy sheep along, but we felt Grumbler sightings would be more entertaining. Now she’s traipsing around Rome, Italy, hoping to spot the ornery critter grousing about Italian food, the famous sites…or the scarcity of convenient WiFi locations so she can email ‘sighting photos’ to me. Soon as they arrive, I’ll post again. THANK YOU for your kind wishes, and I hope 2014 brings us daily joy in counting small blessings.